Home Amancio Ortega Bernard Arnault Carlos Slim Helu David Thomson Giovanni Ferrero Jeff Bezos Jorge Paulo Lemann Karl Albrecht Jr. Li-Ka Shing Ma Huateng Mukesh Ambani Pony Ma Where the Richest People In the World Live? Where the Richest People In the World Live? The 11 richest billionaires in different countries. You might be surprised to learn that there are over 2,200 billionaires around the world. That together are now worth over nine trillion dollars. 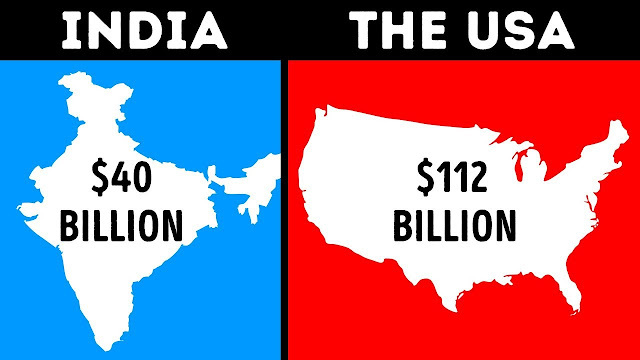 That's way more than the size of most countries economies. And through smart investments the people on today's list only see their fortunes increase year after year. So, let's take a look at who ranks number one around the world. Italy's wealthiest man comes from a family that's given the world's dozens of delicious treats. Giovanni Ferrero controls the Ferrero Group, which is the world's second largest chocolate maker, operating in over 170 countries. Some of their brands include tic-tac mints, Nutella, Ferrero Rocher chocolate, and kinder joy. Michele Ferrero, Javonni's father and the son of the company's founder, Pietro Ferrero, handed the business over to his two sons in 1997. But when his brother passed away, Giovanni became the company's sole CEO. With an estimated net worth of twenty-three billion dollars, this 53-year-old businessman is at the helm of a corporation that earns around 12 billion dollars each year. the world's largest Brewing Company. You've definitely heard of and perhaps enjoyed if you're of age some of the beer brands the brew makes. They include Corona, Budweiser, Patagonia, Bud Light, Pilsner Urquell, and Foster's Lager. point seven billion dollars. Making him the richest person in Brazil. With an estimated net worth of twenty-five billion dollars, David Thompson is Canada's richest person. After his father's death, he took over the Thomas Corporation. Which is one of the world's largest information companies? Along with his family, Thompson controls a media and publishing Empire. He serves as chairman of the Thomas Reuters company, which operates in more than 100 countries and has over 45,000 employees. He's also earned an estimated 200 million dollars from selling land and owning nine shopping malls. David lives in Toronto and keeps a low public profile as he tries to keep his family and personal life priority number one. be Germany's richest people. With a combined net worth of almost 30 billion dollars. Their father Karl Albrecht founded the Aldi supermarkets with his brother Theo and became one of the richest people in the world. They were both heirs to their father's fortune and owned half of the Aldi suit. A giant retail company that operates over five thousand nine hundred stores. The company earned 61 billion dollars in revenue in 2017. Known as super manly thanks to his business prowess Li- Ka Shing is considered one of the most influential businessmen in Asia. He's the founder of CK Hutchison Holdings, a global conglomerate that's based in Hong Kong. The 90-year-old Shing, with a net worth of about thirty-three billion dollars, is actually one of the oldest billionaires in the world. His son replaced him as chairman of the company in May 2018. CT Hutchison Holdings as enterprises in the fields of retail, infrastructure, and energy. To name a few it operates in 50 nations and has over 323,000 employees. his wealth to charities and has the second largest charitable foundation after the Bill and Melinda Gates Foundation. Sounds like a cool guy! huh! he's held for the last decade. He owns 40 percent of Reliance Industries, which operates the world's largest refining oil complex and is India's most valuable company. Most of his wealth comes from the oil business. But in 2016 he launched a 4G phone service called Jio. Which now has over 160 million customers. Now, a lot of Hollywood's rich and famous live in enormous and luxurious houses. But none of them hold a stick Ambani's home. He lives in the world's most expensive residential property. His 27 story Mumbai mansion, is valued at over 400 million dollars and employs 600 members of staff for upkeep. Mukesh Ambani is also the richest sports team owner in the world. He bought the Mumbai Indians professional cricket team for a whopping 111.9 million dollars. China's richest man, Ma Huateng, also known as Pony Ma, made his fortune as the founder and CEO of Tencent. A major conglomerate specializing in online products and services in China. Ma Huateng co-founded the company with his classmates in 1998 when he was only 27 years old. At the tender age of 46 he's one of the youngest billionaires in the world and the richest person in Asia. messaging apps in China called WeChat. Which has over a billion users. In 2017 he bought a 12% stake of snapchats parent company. He's also been named as one of the most influential and powerful people in the world. From 2010 to 2013, Carlos Slim Helu was the richest person in the world. He now sits on the number seven spot, with a networth of 67 billion dollars. His net worth comprises six percent of Mexico's entire GDP. In 1990 he formed Grupo Carso. A global conglomerate company has all kinds of enterprises in the fields of education, real estate, entertainment, technology, hospitality, financial services, and sports to name just a few. He and his family control some of Mexico's and all of Latin America's biggest brands including America Movil. Which is the region's largest mobile firm. He owns so many companies that 40% of the listings in the Mexican Stoc Exchange are attributed to him. Amancio Ortega is the wealthiest retailer in the world. In 1975. he co-founded Inditex. A multinational clothing company is most famously known for Zara. Inditex is the biggest Fashion Group in the world with over 7,200 stores in the 93 world markets. If you live in the city chances are there's one of his stores nearby. billion dollars and he's the world's sexiest person. Bernard Arnault is the CEO of LVMH, a luxury goods conglomerate that represents over 70 fashion and cosmetic brands, including Shivaji, Louie Vito, Sephora, Marc Jacobs, Fendi, Donna Karan, and Bulgari. He also owns most of the fashion brand Dior. All of this has given him a wealth estimated at 76 billion dollars, making him the fourth richest person in the world. Most of the world's billionaires are in fact in the US. today. He became the world's richest person in July 2017, surpassing Bill Gates. Who follows in second place, with ninety billion dollars. Bezos launched Amazon in 1994 from his garage in Seattle and currently owns 16% of the company. He also purchased The Washington Post in 2013 and recently bought the upscale grocery chain Whole Foods. Bezos continues to make a savvy investment. And as Amazon takes over the world his fortune only seems to grow tenfold. And while they say money can go to your head. It's nice to know that a lot of these billionaires have made pledges to support charities. I mean, I guess when you've got billions and you can buy anything you want, there must be plenty left over for those in need. What about you? What would you do with your money, if you were a billionaire? Would you support charitable causes and were you surprised to see anyone on this list or left out? Tell us in the comments below.